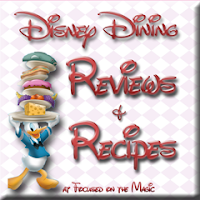 LAKE BUENA VISTA, Fla. – Chef Scott Hunnel sells more than 10,000 dessert soufflés a year at Victoria & Albert’s at Disney’s Grand Floridian Resort & Spa. After a meal of everything from osetra caviar to seared Kobe beef tenderloin, discriminating diners at the award-winning restaurant look forward to a sweet ending. An upswing in Walt Disney World dessert sales is a sign of the times, with sweet sales soaring in U.S. restaurants. And in spite of the no-carb craze, there’s no sign that the heightened demand is slowing down. Last year at Walt Disney World Resort, pastry chefs used more than 865,000 pounds of sugar. Erich Herbitschek, master pastry chef at Disney’s Grand Floridian Resort & Spa, keeps a staff busy with increased dessert orders for his chocolate creations, crème brûlèe and other desserts. 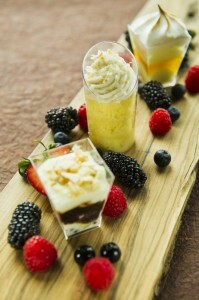 On a recent weekend at California Grill at Disney’s Contemporary Resort, 50 percent of the diners ordered desserts such as butterscotch crème brûlée with banana cakes and caramelized bananas; warm Valrhona chocolate cake with molten center and raspberry ice cream; and chocolate pyramid with chocolate gelato and berries. Silky chai cream with tea tuile at Sanaa at Disney’s Animal Kingdom Lodge. Warm berry cobbler at Artist Point at Disney’s Wilderness Lodge, seasonal fruit and a sugary crust served with vanilla ice cream. Old-fashioned s’mores at 50′s Prime Time Cafe at Disney’s Hollywood Studios — graham crackers, chocolate square and marshmallows, served warm, just like the campfire days. A Florida favorite, the Key lime pie at Olivia’s Cafe at Disney’s Old Key West Resort. The legendary grapefruit cake at The Hollywood Brown Derby at Disney’s Hollywood Studios, made from the 1920s recipe shared from the original Brown Derby restaurant in Hollywood. The satiny crème brûlée with a crisp brown sugar topping served at restaurants at Disney’s Grand Floridian Resort & Spa. The Kona Kone at Kona Café at Disney’s Polynesian Resort, a childish delight for kids of all ages: a giant waffle cone filled with ice cream and served with cotton candy and M&Ms. 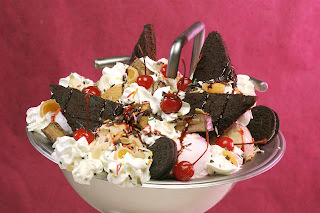 The Kitchen Sink at Beaches & Cream at Disney’s Yacht Club and Beach Club Resorts, a wonderfully sinful sundae meant for sharing with a gallon of ice cream, multiple toppings and an entire can of whipped cream. Anything on the menu at Ghiradelli Soda Fountain & Chocolate Shop at Downtown Disney Marketplace — a root beer float, hot fudge sundae, even an old-fashioned malt. 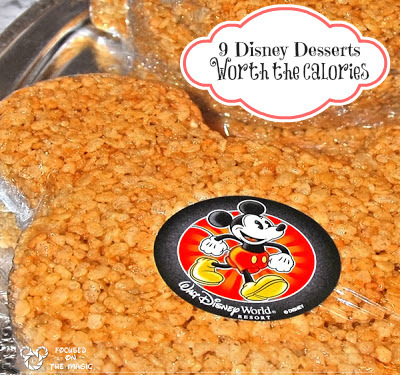 What is YOUR favorite Walt Disney World sweet treat? Share your dessert memories in the comments below!